For Easter, many Christians paint eggs, illuminate them in church and give them to one another. Russia Beyond reveals the ancient secrets of traditional Russian egg coloring with natural ingredients. Where does egg painting come from? In Christianity, the Easter egg symbolizes the Holy Sepulcher, which gives eternal life. In ancient Palestine, people were buried in caves and the entrances were covered with boulders. According to one theory, the boulder used to cover Jesus Christ’s tomb had the form of an egg. 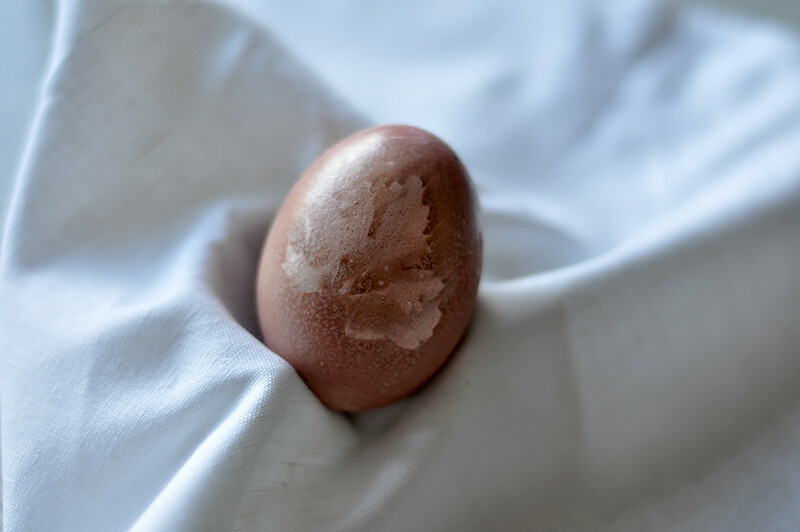 Therefore, the Easter egg is a reminder of Jesus’ resurrection, just like behind an ordinary eggshell new life is waiting to break out. The dark red color with which eggs are often painted alludes to Christ’s passion and blood. 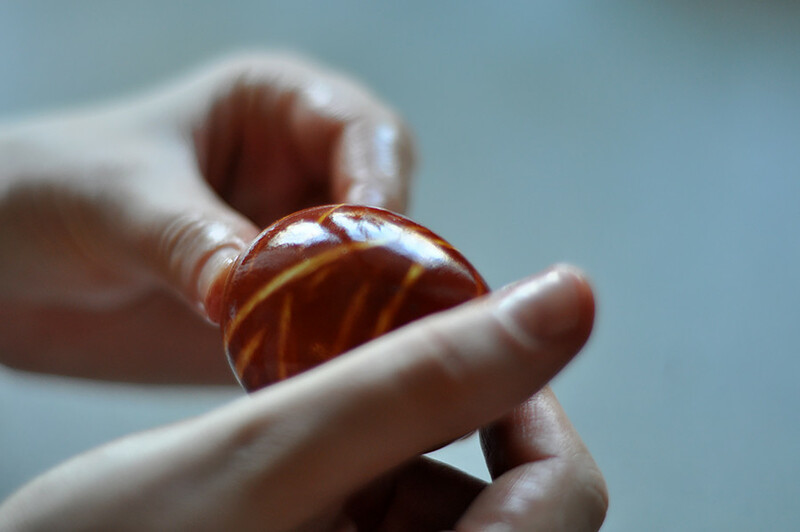 We know of the story in which Mary Magdalen gave Emperor Tiberius an egg and told him of Christ’s resurrection. At first, Tiberius did not believe her. Then suddenly the egg assumed a red color, as if testifying to the miracle. However, there are more practical explanations to the tradition of painting eggs. During Lent, eggs (and other animal products) are not to be eaten. Therefore, in order not to waste the eggs, people boiled them, and to distinguish the boiled ones from the uncooked ones the former were colored. How were eggs painted in Ancient Rus? 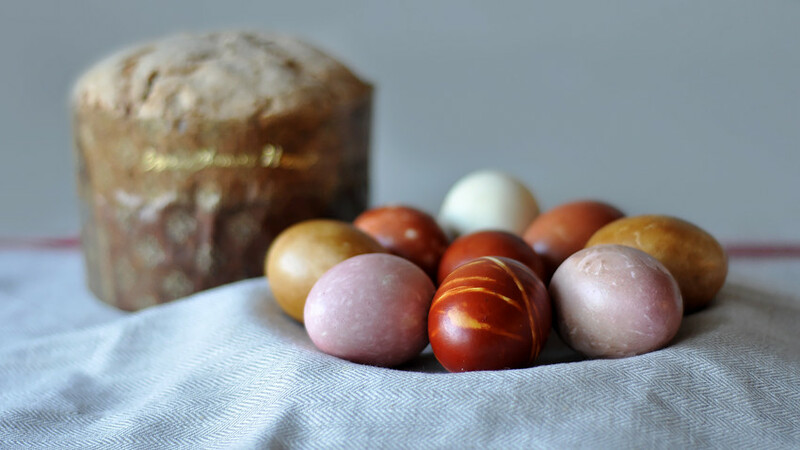 In Ancient Rus eggs painted with a single color were called krashenki. Usually, an onion peel was used to prepare the color, which would come out reddish-brown or dark orange. 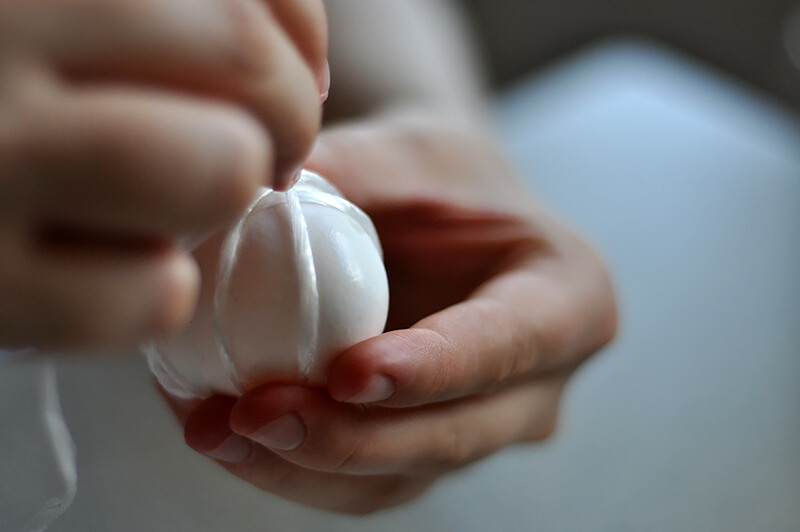 Eggs with a wax ornament were called pisanki. They were colored uncooked and were not eaten. Once painted, they were blown and hollowed out. Today, eggs can be colored with food dyes or special stickers. But we will try to do this with ordinary products: onion, coffee and beet. For coloring it is better to select eggs with a white shell. Before boiling keep them in a warm place for about an hour, and before placing them in the solution cool the liquid to room temperature. 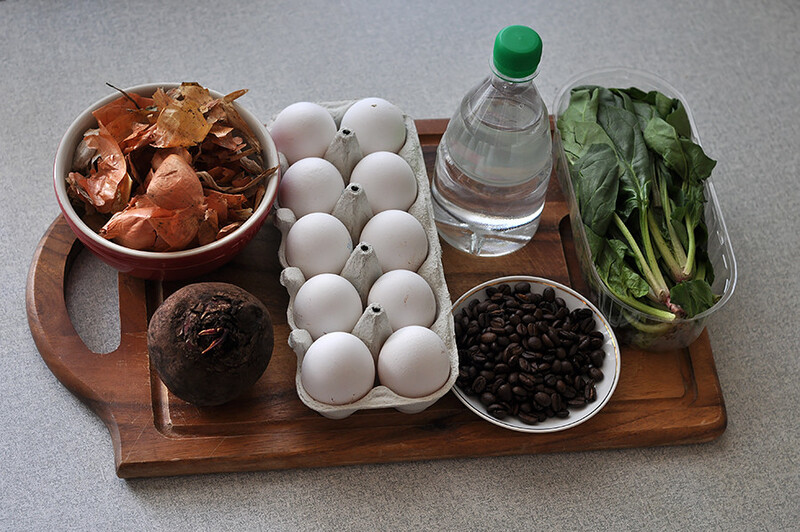 Use a bulb onion peel to color the eggs with the traditional reddish-brown color. Place peel from 10 onions (2 cups) in a pot, fill with water and simmer for 15 to 30 minutes after the water boils; (the more it simmers the darker the color). When the solution cools, put in the uncooked eggs and boil for about 10 minutes. The color intensity will depend on the time that the eggs remain in the solution. If you use red onion peel, the eggs will obtain a violet hue. You can also color dark eggs with onion peel, and they also come out looking nice. 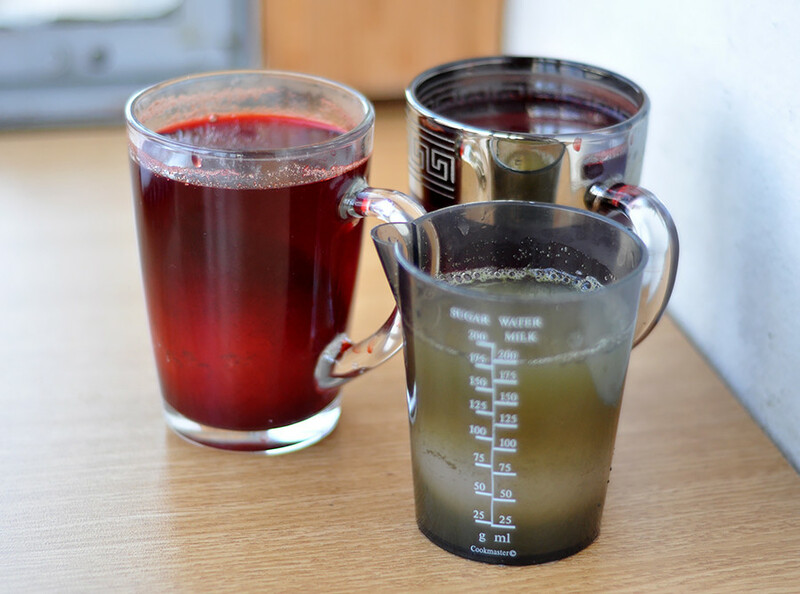 Grate the beet with a large grater, place the pulp in a pot and pour in water. Bring to boil and simmer for 10-15 minutes. Remove the pot from the flame and cool the mixture. Add one teaspoon of vinegar, sieve the mixture, place the eggs in the solution and leave for 1.5-2 hours. 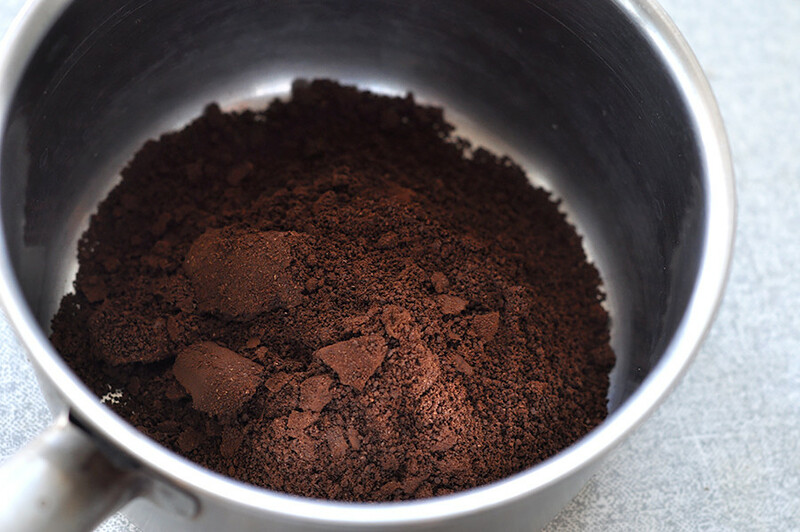 Mix 8 tablespoons of black ground coffee with 2 cups of water. 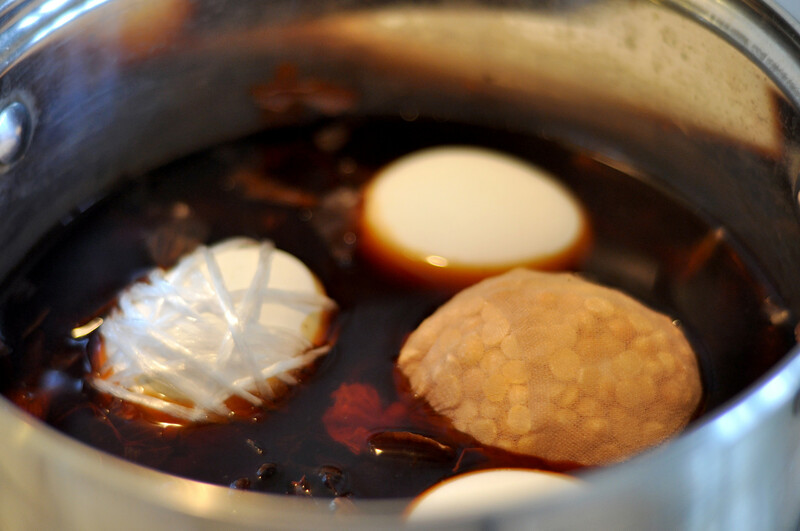 Boil the mixture, cool, add the uncooked eggs and simmer for 10-15 minutes. Remove the pot from the flame and let the eggs steam off for about an hour. 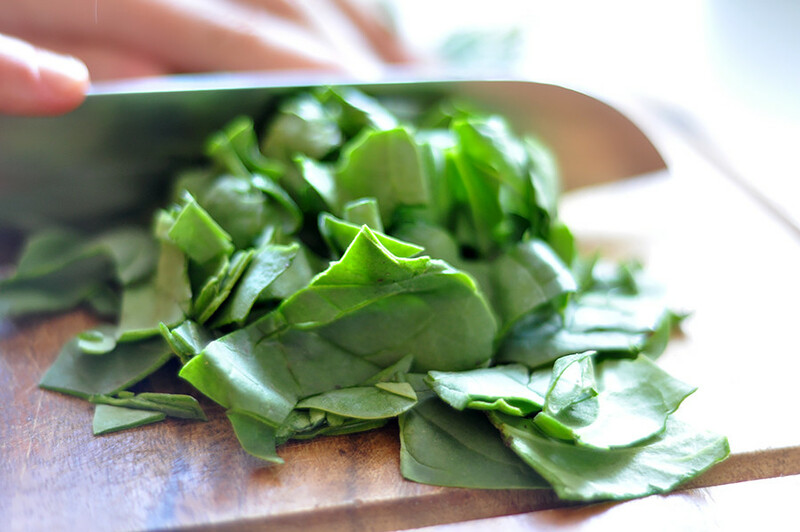 Mix one part spinach with two parts water; for example, 100 grams of spinach with 1 cup of water, enough to color one egg, and then boil. Cook the spinach until the water turns green. Sieve the liquid, let cool and put in the boiled eggs. For better color and paint consistency add 2 tablespoons of vinegar to the solution. Which other colors can be obtained from natural products to paint eggs? Celestial blue – red cabbage. To make a pattern with leaves any green herb can be used – cilantro, basil or parsley. 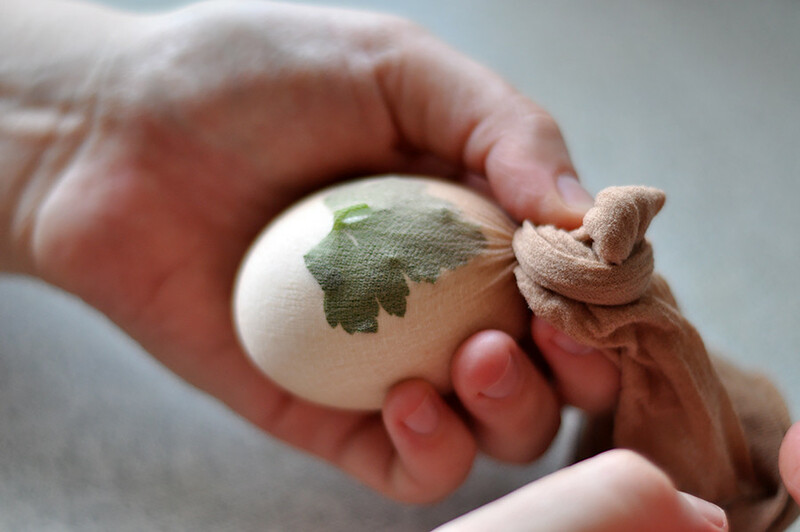 Dampen the egg with water and apply the leaf. Then place the egg in a cheesecloth or a nylon sock, and cook in an ordinary way. To make a pattern with stripes, before cooking the eggs wrap them in a string or an elastic band. A dotted pattern can be obtained if you cook the egg in the sock or cheesecloth with rice or peas. 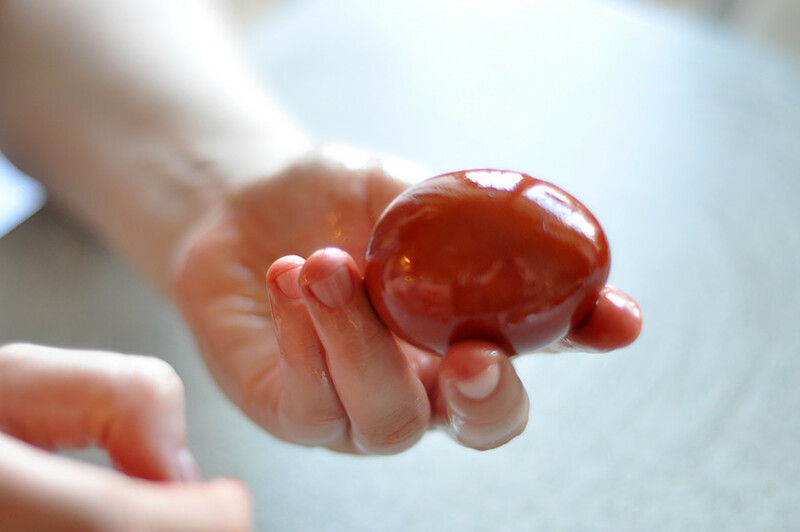 In order to give the colored eggs that characteristic shine, polish them with vegetable oil.